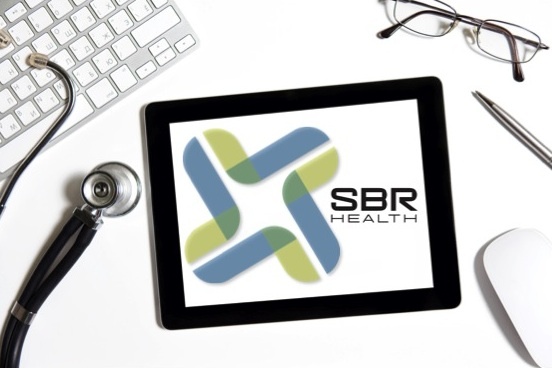 SBR Health and a new Boston-area nonprofit, Found in Translation, share an important core value: connecting patients and healthcare professionals through better communication. Found in Translation is the brain-child of Executive Director Maria Vertkin, who thought it would be a good idea to connect homeless, bilingual women with free job training to become medical interpreters, whose average annual salary is over $40,000. In Boston shelters, more than 40% of families identify as Hispanic/Latino (Source: Annual Census Report), and many are bilingual women. Maria, an Israeli citizen born in Russia, saw an opportunity to help bilingual women by creating a program that offers not only a 12-week medical interpreter’s certification course, but common sense support such as child care and transportation. The Kip Tiernan Fellowship Committee at Rosie’s Place saw the opportunity too, and awarded Maria with a $40,000 start-up grant in 2011. Found in Translation graduated their first class of 21 women, selected from a pool of 164 applicants, in April 2012. Today, hundreds of low-income, bilingual women are waiting to apply for their next training cycle in 2013, hoping for an opportunity to use their language skills to create a better life for themselves and their families. The next few months are critical for Found in Translation – additional funds are deeply needed to continue this important program. Party Around the World is the organization’s first annual fundraiser – a multi-cultural celebration with live Latin, African and Chinese lion dance performances, multi-cultural foods, and world music. It takes place at the Microsoft NERD Center in Cambridge, MA on November 16, 2012 from 6 to 10 pm. Tickets are only $55 general admission and $25 for students/starving artists. Please buy tickets, enjoy a fun night out and support this great organization! 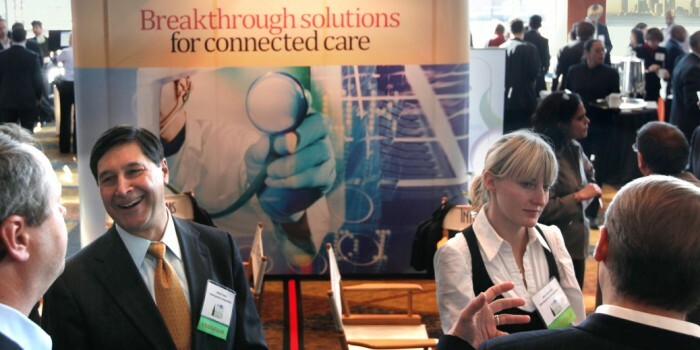 This year’s World Congress Leadership Summit on Telemedicine features a great lineup of speakers. Joining innovators from major hospitals and healthcare delivery organizations, we’re excited to hear about the industry-wide interest and demand for telemedicine use in care delivery. One of the more interesting sessions was the keynote panel discussion on the Joslin Diabetes Center’s ‘Joslin Everywhere’ diabetes mobile health initiative and efforts to virtualize the delivery of care. Stay tuned for more updates throughout and after the conference. Day two of the World Healthcare Innovation and Technology (WHIT) conference got off with less of a bang than Monday – hard to match the energy Todd Park put forth yesterday. Today’s keynote was delivered by Peter Tippett, MD, Vice President of Connected Healthcare Solutions at Verizon who was to speak on the revolution in HIT being enabled by the marriage of the Cloud and mobility. Although very interesting, his keynote ended up pretty much being an hour long advertisement for Verizon. Not that this was all bad, as Verizon is doing a lot of interesting work applying science to uncovering falsehoods in current security dogmas. For instance, Peter presented how Verizon is attempting to make data more secure. By studying, then releasing information on data breaches and publishing the data at www..com/databreach, the updates will appear on their blog at securityblog.verizonbusiness.com. What I find particularly interesting is that the length of a password does not significantly reduce the chances of being compromised. However, Tippett stated that most attacks come from remote access, so just doing port scans followed by locking down open ports would reduce data breaches by 70%! I also found his discussion of the Verizon LTE was enlightening. Evidently Verizon uses a lower frequency than other carriers so their 4G service works better at penetrating buildings such as hospitals as these lower frequencies get around walls better. In a panel session on mHealth, Joe Kvedar, MD, Founder and Director of the Center for Connected Health, spoke of his center has found that patients are starting to do a better job at more effectively taking care of their health. This is being enabled by connected consumer devices like the new iPod Nano that can track your daily steps. He also stated that this is a timely convergence with the change in the way healthcare is being paid for, where healthcare providers need to become better at managing their populations health so these tools could not be coming at a more plotting time. I found the rest of the day pretty mediocre with the exception of a presentation by Cynthia Galbincea, Executive Director of Marketing Communications at the Cleveland Clinic. Galbincea spoke on their mobile strategies, stating they are seeing a lot of demand from consumers for wellness and information applications, and have been very active in developing and deploying these types of applications, especially in support of their branding strategies. From their doctors, their organization is seeing the largest uses of their iPads for sharing information with their patients, assisting with diagnosis, as well as tracking patient’s progress on them. 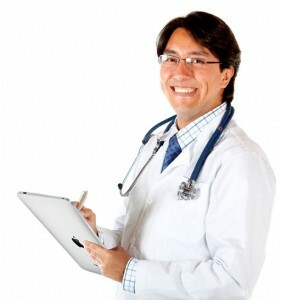 Cleveland Clinic’s mHealth strategist, Tony Crimaldi stated they are focusing exclusively on iOS development, and with that, mainly applications for iPad devices as these are the preferred device with their clinicians. That’s it from the final day of WHITv7. Overall, a pretty impressive line up of thought leaders and innovators and I’m looking forward to more high quality innovation events such as this one from the World Congress.